Bonnyrigg Rose edged closer to their Lowland League dream as they secured the Conference B title with 4-0 win away to Dunipace. Robbie Horn’s side became the first East of Scotland club to lift one of three conference crowns and will feature in the three-way play-off, with the other two winners, which begins at the end of April. 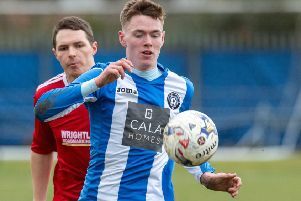 Former Spartans youngster Aaron Murrell fired Rose ahead after six minutes in front of a bumper crowd at Westfield Park, with a large visiting support coupled with the first featured match of GroundHop weekend making for a healthy attendance. 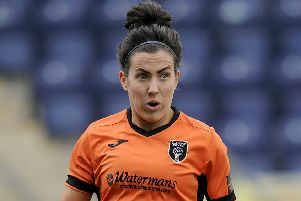 Rose found it tough to break down their hosts despite the early opener, with the visitors taking until the hour mark to double their lead as midfielder Lee Currie netted. Currie would then make it three with five minutes remaining when he netted in style from the penalty spot, and striker Keith Lough headed in for No.4. Boss Horn, who led Rose to the East Juniors Super League title in 2015/16, and returned to the club as manager in November after a spell at Berwick Rangers, has targeted a spot in next season’s Lowland League should they navigate their way through the play-offs and obtain an SFA licence.